World Poetry Celebrates Mother’s Day From Around the World! 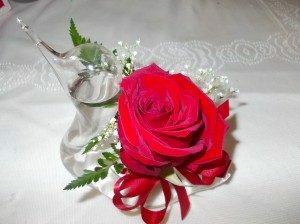 A rose for all the wonderful mother’s of the world! Photo by Ariadne Sawyer. 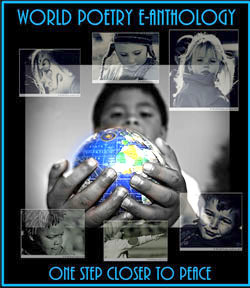 Ariadne’s Notes: The World Poetry Café Radio Show, CFRO 100.5 FM on May 10 1-2 pm began with Mother Day poems from a number of countries and other poems that we could not read before. Also at 1:30 PM PST the talented humanitarian, Peace Ambassador to Nepal and female Michael Jackson impersonator MJ Raven. She will be featured next. I was hosting from home and Victor from the radio station. A big thank you for Victor Swartzman for his beautiful reading. CLICK HERE TO HEAR THE RADIO SHOW! Special thanks to all the wonderful poets of the world who joined in this Mother’s Day celebration. A Mother’s Love by Roberta Monokroussos, Cyprus. MOTHER by Passang Sherpa, Bhutan. THAT SINGLE MOMENT by S.L.Peeran, Bengaluru, Sufi Poet. To My Mother on her Birthday by Ariadne Sawyer, Canada. Tripod and Tripod of the Soul by Hongri Yuan, China. Abused Mothers, Wounded Fathers by Vera Manuel, First Nations, Canada. Where Bloom the Wild Things? By Madge Kimball, Canada. Fusion Celebration by Hudson Kimball, Canada. World Poetry Display at the Vancouver Public Library. This entry was posted in Ariadne's Notes, General and tagged Hongri Yuan, Hudson Kimball, International Peace Award Ariadne Sawyer, Madge Kimball, Passang Sherpa, Preethi Saravana, Roberta Monokroussos, S.L.Peeran, Vera Manuel on May 16, 2018 by Ariadne.